WASHINGTON, DC – The United States Drug Enforcement Administration (DEA) today announced the arrest of Nidal Waked, one of the world’s most significant drug money launderers and criminal facilitators. Waked was arrested last Wednesday night in the El Dorado Airport in Bogota by the Colombian National Police, in close coordination with DEA. The arrest comes on the heels of sanctions announced today against Waked’s organization by the United States Department of Treasury Office of Foreign Assets Control (OFAC). This Treasury action designated Waked and his co-head Abdul Waked, six other associates, and 68 companies tied to the drug money laundering network. DEA Miami led this long-running investigation, working with OFAC, the Colombian National Police, FBI, and CBP. In addition, U.S. and Panamanian authorities will coordinate as this investigation continues. Waked has been charged in the Southern District of Florida with money laundering and bank fraud charges. 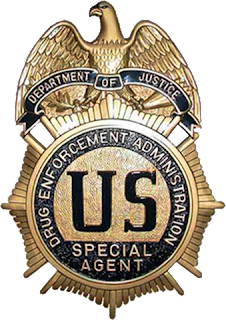 The U.S. Department of the Treasury’s Office of Foreign Assets Control (OFAC) designated the Waked Money Laundering Organization (Waked MLO) and its leaders, Nidal Ahmed Waked Hatum (Waked Hatum) and Abdul Mohamed Waked Fares (Waked Fares), as Specially Designated Narcotics Traffickers pursuant to the Foreign Narcotics Kingpin Designation Act (Kingpin Act). OFAC also targeted six Waked MLO associates and 68 companies tied to the drug money laundering network, including Grupo Wisa, S.A., Vida Panama (Zona Libre) S.A., and Balboa Bank & Trust. Panamanian-Colombian-Spanish national Waked Hatum and Panamanian-Lebanese-Colombian national Waked Fares co-lead the Waked MLO, which uses trade-based money laundering schemes, such as false commercial invoicing; bulk cash smuggling; and other money laundering methods, to launder drug proceeds on behalf of multiple international drug traffickers and their organizations. As a result of today’s action, all assets of these individuals and entities that are under the jurisdiction of the United States or in the control of U.S. persons are frozen, and U.S. persons are generally prohibited from engaging in transactions with them. In addition to the Waked MLO and its two leaders, the OFAC action designated six Panama-based MLO associates for providing material support and/or acting on behalf of the MLO: Gazy Waked Hatum, Ali Waked Hatum, and Jalal Waked Hatum, brothers of Waked Hatum who manage Waked Hatum’s import/export, retail, and real estate businesses; Mohamed Abdo Waked Darwich, Waked Fares’ son, who manages Waked Fares’ duty-free retail and real estate development operations; and two attorneys, Norman Douglas Castro Montoto and Lucia Touzard Romo, who provide a variety of services, including incorporating shell companies, to the Waked MLO and serve various roles in several Waked-related companies. Today’s designations also target the principal Panama-based companies used by the Waked MLO to launder drug and other illicit proceeds: Vida Panama (Zona Libre) S.A., an import/export company in Panama’s Colon Free Trade Zone; Grupo Wisa S.A., a holding company for businesses involved in real estate, construction, retail, hospitality, and media, including the La Riviera chain of duty-free stores operating throughout Latin America; Soho Panama S.A. and related entities, including a luxury mall and real estate development in downtown Panama City; Balboa Bank & Trust, a Panamanian bank; and the Strategic Investors Group Inc., a holding company that owns and controls Balboa Bank & Trust as well as two other financial services companies. Balboa Bank & Trust was used to launder narcotics and other illicit proceeds for multiple international criminal organizations. Concurrent with this action, OFAC is issuing three general licenses that authorize certain transactions and activities for limited periods of time with five entities owned or controlled by the Waked network: Soho Panama, S.A. (a.k.a. Soho Mall Panama), a luxury mall in downtown Panama City; Plaza Milenio, S.A. (Millennium Plaza) and Administracion Millenium Plaza, S.A., related to a hotel complex in Colon, Panama; and two Panamanian newspapers, La Estrella and El Siglo, which are owned by Grupo Wisa, S.A. The first two general licenses aim to assist with winding down transactions for a limited period of time by authorizing specific activities that would otherwise be prohibited. The third general license is intended to allow both Panamanian newspapers to continue printing and operating by authorizing specific activities that would otherwise be prohibited.